I understand there are a significant number of people who are passport stamp junkies. This is quite difficult for me to comprehend. I thought the purpose of visiting a foreign country was for the experience, not merely to say that you have been there. I am currently on my third passport. I will need to have additional pages inserted after my next big trip. I will admit some of the stamps and visas are interesting. But am I wrong in assuming that most of you would rather hear about my trip than look at my visa or passport stamp? I imagine there are people who want to say they have been to all continents, including Antarctica. Well, I am more than happy to say I have been to all except the Big A. I have no desire to go unless they ask me to attend Kate Upton’s next SI Swimsuit Edition photo shoot. Burma has been on my travel radar for many years. It has been a rather expensive trip under the current military junta. But with some changes, and the release of Aung San Suu Kyi from house arrest, things are getting better as far as Americans visiting Burma. Oh, I prefer to call it Burma, rather than the junta’s name of Myanmar. I have a contact in Bangkok who will take me there on my next trip to SE Asia. He says it will be totally gray market! Yes, I have been to Machu Picchu, high of most traveler’s radar. But as much as I enjoyed the visit, and Peru in general, my vote for the region goes to the Amazon rainforest. But 400,000 people visit Machu each year. Its history, mostly unknown, remains of great interest to historians, anthropologists, and tourists. I doubt we will ever really know unless the truth is exposed by some long-lost documents. Another popular place to brag about is Ushuaia, Argentina, the world’s southern most city. I was there in winter, snow-covered the ground, and the trips out onto the Beagle Channel were cold. In fact, that is the coldest weather I have ever experienced. Mike and I ended up there after visiting northern Chile (the driest place in the world, the Atacama Desert), then Mendoza and Buenos Aires. We flew down there, but had to take a twelve-hour bus ride back to Chile. Was it worth it? Of course, because it was about the experience, not the passport stamp! Cuba is the new latest and greatest destination. I would prefer Burma, but Cuba is closer and less expensive. Do not be surprised if I end up there on a last-minute trip. I really want to see if they can fix their 1957 Chevy with handmade wooden pistons or crank shafts. Mt Dad would have been impressed. I would like to see Guantanamo, and visit Fidel’s younger brother, Dennis. At least, that is the name given to me by Cosmo Kramer when he hired some Cubans to roll tobacco. Turns out they were Puerto Ricans and ended up working at the Magic Pan stores for the Mandelbaum family. If there is one passport stamp that stands out to me, it is the one for East Berlin. 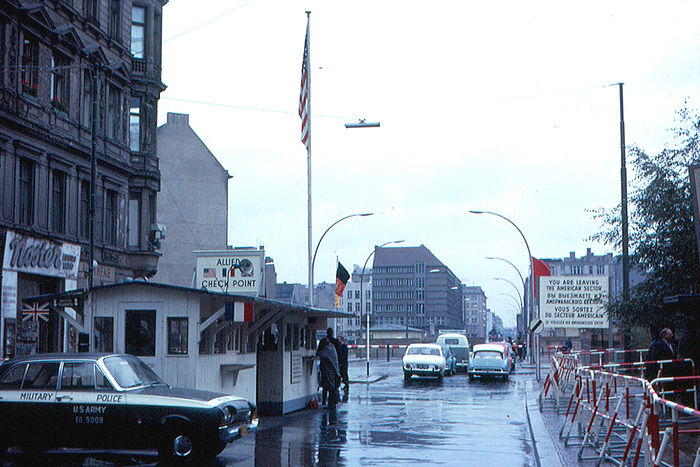 I had to cross Checkpoint Charlie into East Berlin, from the West. I had flown from Munich to Berlin on a red-eye cheapie flight. I crossed with a hippie couple from the Bay Area. They strip searched the young lady since she was pretty attractive. They did not care about me and the male hippie. Just the week before, someone had escaped with a clever contraption, a sports car, lowered to the ground, bullet proofed, with windshield removed. I also saw a homemade scuba outfit made from welding tanks, used by a diver to swim through the canals between east and west. Both were quite daring escapes! What made this visit so memorable? The wall itself? No. The interrogation? No. It was the guys in the machine gun turrets pointing their guns at us as we crossed “no man’s land” into Communist East Berlin. Believe me, freedom was NOT just another word for nothing left to lose, right Janis? It was a sobering, yet meaningful experience, one that I will remember to my grave. 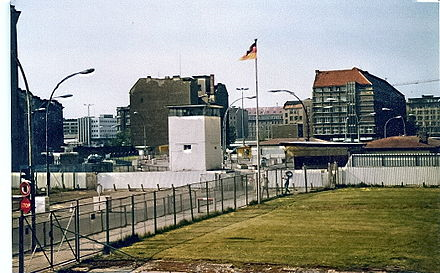 FYI, Checkpoint Charlie was removed on June 22, 1990. I was there back in September of 1971. Remnants of the Berlin wall can be seen in a few places now. One is in Las Vegas at the Main Street Station casino in the downtown area. However, it is located in the men’s room near the urinals. The other is located at the Newseum in Washington, DC, perhaps a little more palatable place to see history. My visit to Berlin in 1971 and the crossing to East Berlin turned out to be the very first travel blog I wrote.